Clean wood chips ground to certified sizing Certified to meet ASTM F8 committee. 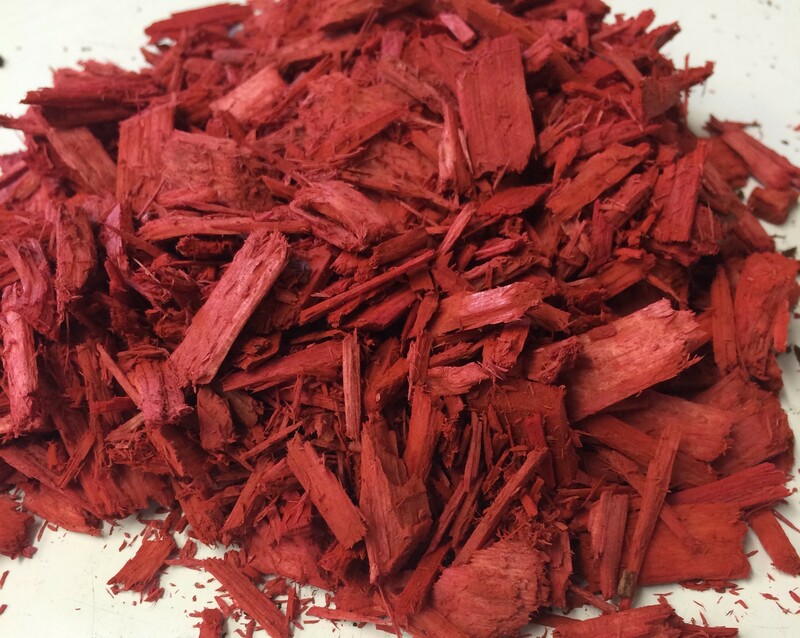 Great for pops of color in landscaping All natural red dye that is safe for kids, pets & environment To keep the color brilliant do not install on a rainy day. It is recommended to give the dyed mulches at least 6 hrs of sunlight to dry properly.